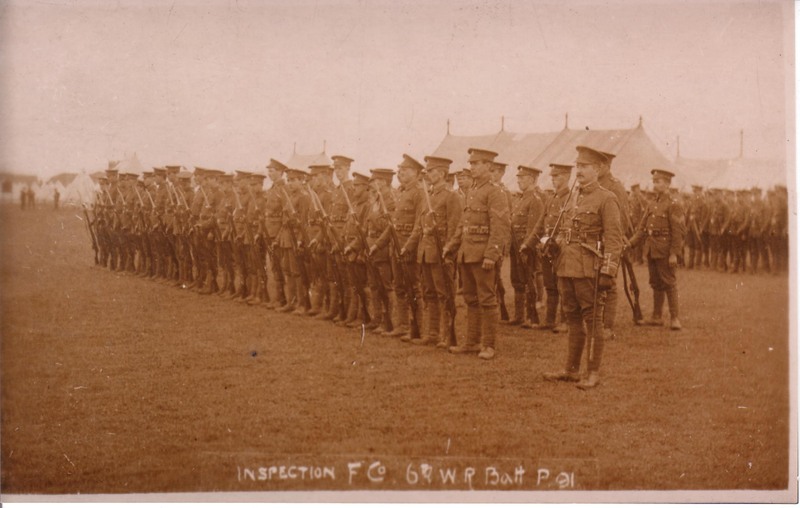 Going by 'Craven's Part in the Great War', F Company of the 6th Battalion (West Riding Regiment) recruited from Settle. In December 1914 the 8 companies of the Battalion were amalgamated into 4. F company became part of 'C' Coy. 'P 21', which follows in the caption, might refer to 'Platoon 21'; the group looks about platoon size - i.e. 40. Judging by this, the photograph could have been taken after mobilisation in August 1914, but before they went into billets in Doncaster in late October. The location is likely to be in the Grimsby area.